We have 25+ years of experience with Roofing, Gutters, Gutter Protection, Siding, and Home Repair! EMA Construction has served homeowners in the Cincinnati, Liberty Township, West Chester, Dayton, and Northern Kentucky areas with quality service and affordable prices on roofing, seamless gutters and gutter guards, and siding (including vinyl, James Hardie HardiPlank, and cedar siding) for over 25 years. EMA Construction prides itself on satisfying our home improvement customers all over the Cincinnati, Ohio area. 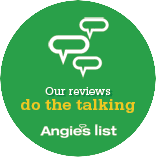 Don't take our word for it; check out our portfolio and customer reviews. If you are looking for a siding contractor, gutter contractor, or roofing contractor in the greater Cincinnati area, look no further. Located in Liberty Township, Ohio, EMA Construction is fully insured and we offer free estimates on all roofing, home repair, and home improvement projects. 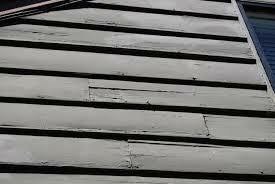 If your siding looks like the image to the right, then it is more than likely is in need of repair or replacement. EMA Construction specializes in repairing and installing James Hardie and cedar siding in the greater Cincinnati area. Our experts will inspect your siding and provide you with a free estimate. 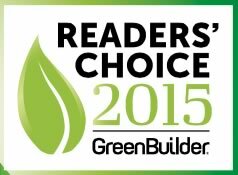 In addition to roofing, EMA Construction provides gutter guards, gutter repair, and the installation of new gutters. Cincinnati homeowners can count on us as a one-stop source for exterior home repair, including roofing, and siding in addition to gutters. We invite you to learn more about our Cincinnati gutter fabrication and installation services, as well as our gutter guard systems that virtual eliminate the need for gutter cleaning! Want to see more? Check out our before & after photos and read our customer testimonials! EMA owner took a personal interest in my project and was extremely responsive to my concerns. Work was done in a timely manner and according to expectations. Project follow-up was exemplar. I highly recommend EMA. EMA Construction provides home improvement services throughout the Greater Cincinnati, Ohio area, including Fairfield, Hamilton, Indian Hill, Liberty Township, Mason, Springdale, and West Chester. We also serve Dayton and surrounding areas such as Kettering and Miamisburg, as well as Hidden Valley in southeast Indiana. In addition, we provide roofing and gutter services to the Northern Kentucky communities of Erlanger, Florence, and Fort Thomas. We are a Cincinnati roofing contractor that specializes in roof repair and installation, home improvement, siding (including James Hardie), seamless gutters, and gutter covers. We're located in the Liberty Township / West Chester area, and serve Hamilton, Butler, and Warren counties.